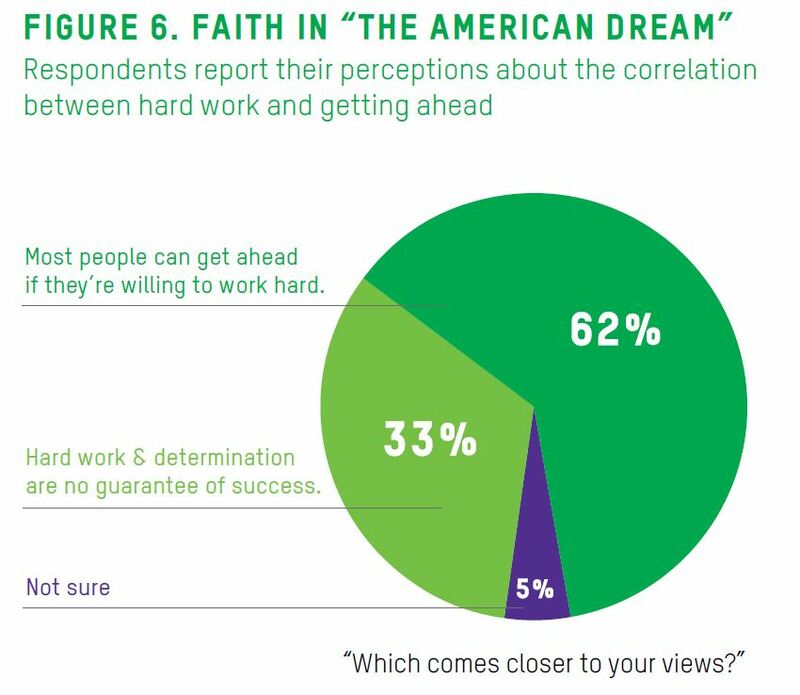 Hard work, hard lives: The new “American dream”? 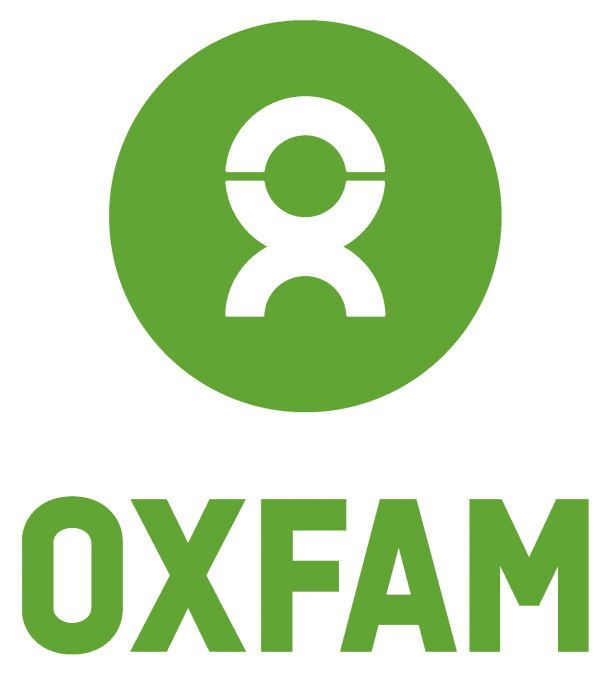 Oxfam survey raises questions anew about US poverty and inequality. While thousands are gathering along the Mall in Washington, DC today, thousands more will next be walking off their fast food and retail jobs to protest low wages. Fifty years after the March for Jobs and Freedom and MLK’s “I have a dream” speech, what do we do about a society that offers increasingly less opportunity for those who are willing to work hard, and long, and well? 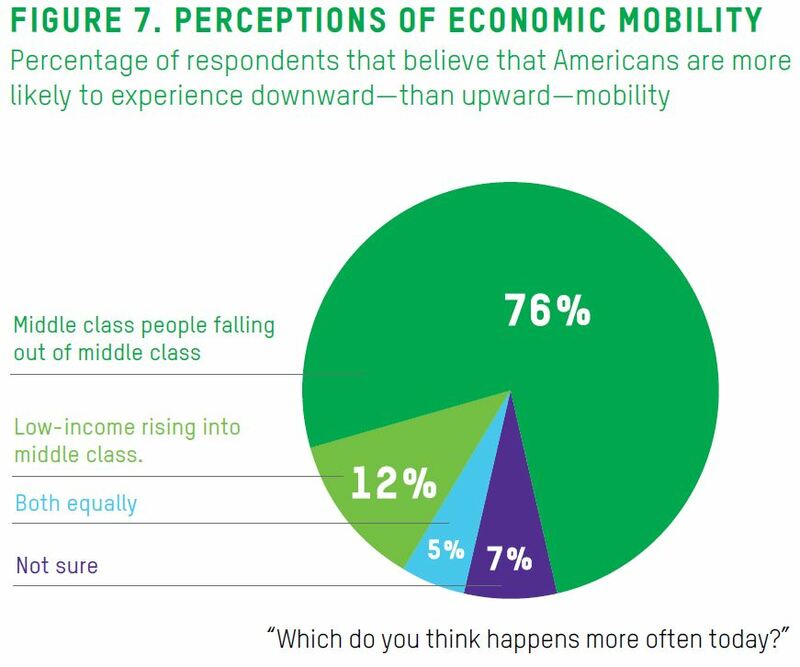 We at Oxfam wanted to find out more about what happens when low income Americans face more hurdles than hope when it comes to moving up the ladder toward prosperity. So we commissioned Hart Research Associates to ask these folks about their lives, their aspirations, and their beliefs. 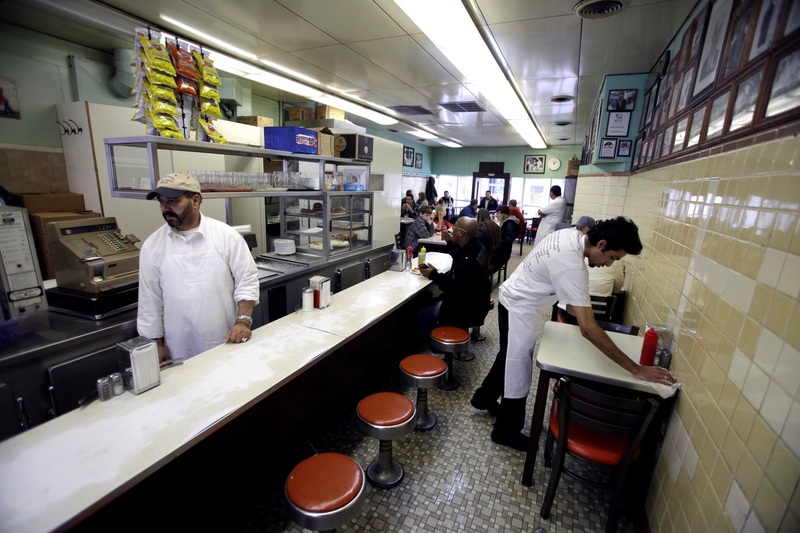 The results of this nationwide phone survey of low-wage workers were stark and sometimes surprising. But every day, our nation abandons these workers a little more. At least a quarter of American workers are in low-wage jobs and nearly 40 percent of US families have incomes below 200 percent of the poverty level. Despite their numbers, workers feel their elected officials have forgotten them. Millions of low-wage earners are barely scraping by from week to week, even though they average nearly 40 hours of work a week (numbers that surpass higher wage workers), many at more than one job. They worry about how to pay the rent and put food on the table and wonder what will happen if something goes wrong, e.g. a family member falls ill or if they lose hours at work. (See bar graph, Figure 2.) Not earning enough to sustain their families, many workers find themselves going into debt—taking loans from family or friends, using credit cards, selling their belongings at pawn shops, or taking out payday loans. This debt stops people from getting ahead, let alone investing in education or retirement. Government programs, including Food Stamps and Medicare, are utilized by those working full-time jobs just to get by. Which workers face the greatest challenges? It’s parents (especially single parents), women, and those earning less than $10 an hour. The future doesn’t look good for these workers as most new jobs being created are low-wage, benefit-poor jobs. Those surveyed reported that they see “middle class people falling out of the middle class” more often than “low-income people rising into the middle class.” (See pie chart, Figure 7.) There are serious, long-term consequences for the US economy and our society when there are growing numbers of people working at unsustainable, poverty-wage jobs, unable to get ahead or invest in their children’s future. This weekend, many of us will be enjoying a holiday that is supposed to honor “labor.” But how will we honor the millions of American workers who are clinging to the idea of the “American Dream,” while the US economy abandons them in the dark of low wages and few benefits? America’s policy makers practice a virulent form of cynical subversion. They know that America is a monetarily sovereign nation not constrained by revenue per se to spend and yet they wail at the top of their fetid lungs that America must reduce its debt and deficits else the nation will “run out” of money. This unmitigated and unsubstantiated lie is the crux of the atomic explosion in poverty rates in America. America is, like Canada, Australia, Japan, England, China and other nations, it is the issuer of its own currency. By definition it can never, involuntarily, become insolvent. All America needs to spend is an appropriation from its Congress. It does not need tax or borrowing revenue. Why would it when all the Federal Reserve does today is mark up checking accounts with its computer keyboards. There are no feckless minions shifting wheelbarrows of paper from place to place; 90% of all money is electronically transferred. America could, if Congress would appropriate, achieve full employment with living wages and benefits without costing a dime in additional taxes. Taxation does not fund the Federal government like it does State government because only the Federal government can issue the dollar. States, firms and households are users of the dollar and must balance their accounts or face insolvency, not so the Federal issuer of the dollar. Therefore, Federal taxation subsidies the rich, manages inflation and is supposed to constraint the excesses in the maldistribution of income. Nor does America borrow to fund its government. Borrowing between the Fed and its member banks simply maintains the term structure of interest rates. China doesn’t lend it invests, like your Grandmother, in savings bonds (Treasury securities). American importers “finance” China’s savings with their payments for China’s goods. China can not issue dollars. America’s poor are poor because American decision makers will not legislate otherwise since if they do they earn the wrath of the 10% who keep their campaign coffers full. For instance, the working poor and Middle Class would benefit enormously from suspension of the Payroll tax. An extremely regressive tax which does not actually fund Social Security benefits. Suspending the 15.3% tax/confiscation of their income would ignite consumption and employment at no cost to the Treasury. All Congress need do is appropriate the funding for benefits as it does every year and between Treasury and the Fed checks will go out none of which will bounce. America’s poor are poor because America’s rich are sociopaths. And most of Congress and the WH are rich. Missing in nearly all discussions of the American poor is any sense of global context. It matters. We live on a planet of seven billion people, almost all of whom live desperately poorer lives than do Americans. Our officially poor would be, in most nations, among the prosperous class. For just how rich we are, take any American official poverty income figure you choose and enter it into the web site globalrichlist.com You will be surprised at how rich we are. But, the wealth is not just personal: Almost all Americans have treated drinking water, have good roads, have access to public libraries, usually have free public education, and lead lives free of civil war. Our corruption levels are far below that of many nations, and we still have the power to leaders vote out of office. Total income divided by all workers: $84,640 — the average income per worker. Yet half are earning below $27,519. As the average household has about 2.7 people, average household income was $112,212. Median household income was closer to $50,000. About 14% of all workers are voluntary part-time workers, that leaves 36% working full-time or looking for full-time work during the year who are paid under $25,000 a year. 36% of the workers is 55 million workers. Hardly anyone can keep up with so many numbers. But the conclusion, the bottom line, is that about a third of all workers are basically living and working in poverty, while the nation’s economy generates a huge personal income amount, $41,000 per person or $84,000 per worker. Economics Without Greed is my blog’s title. My heart goes out to America, a country I still nurture as my second home! I am an Indian who lived in the USA between 1979 till 1990’s, now living in India. I recall US as a nation, where ‘integrity’ was the core-value in daily lives. Likes of Walter Cronkite and Jimmy Carter, inspired truthfulness. As I saw, the US was built over 200 years on the pillars of integrity, hard work, and innovation to prosper. Anyone, even refugees from distant lands could prosper through honest hard-work! I used to take pride in talking about USA to people in India then… a nation where they trust you till there is a reason not to! Past 30 years have been ‘falling and failing”. This, to my mind, is a result of — intellectual corruption by the cream of society— who have opted to make greater money by playing money-games, rather than creation of wealth. The nation has fallen in hands of speculators and manipulators….. far from the days of Benjamin Franklin, Jefferson, Lincoln, and Kennedy. Renaissance of USA… awaits the spirit of 1776 and new breed of leaders to rise to the occasion. Let us hope the middle class does not ‘give-up’ on integrity, the virtue that alone matters, to rise again! So, I pray… from the bottom of my heart!!! Using the low wages/working conditions of other countries to justify underpaying U.S. workers is wrong – people come to the U.S. from all over the world hoping to find better lives — we should be setting the standard for humane treatment of all our citizens. Some people say that raising the minimum wage would cause prices to rise, but prices have already risen and keep rising – I would be interested to look at the finances of a large corporation to see where the money is going. Why aren’t unemployed people required to take college or vocational classes? Why is it so difficult/expensive to get an education in the U.S.? The notion that everyone should attend college is misguided. All we’d have is a nation of Phd. counter clerks. Already there are not enough jobs for the college grads and they owe thousands in student loans. We need jobs for all kinds of people: those who like book learning, and those who work with their hands. We tend to think that those who work at fast food,as cashiers, etc. as being lesser. Until nobody is taking your order at McD’s or answering your questions at a store…..Having paid my way through college working in stores, restaurants, and other low paid jobs, I know that those jobs are WORK. most people don’t think of the problem that the millionaires have too much money. The government has a major role to play in ensuring a better living standard for everyone. The truth is; It’s all about the money. If the salary is good, people will be motivated to work hard, and hard work increases productivity. Better policies can solve any problem giving birth to poverty. Nobody want to choose poverty.